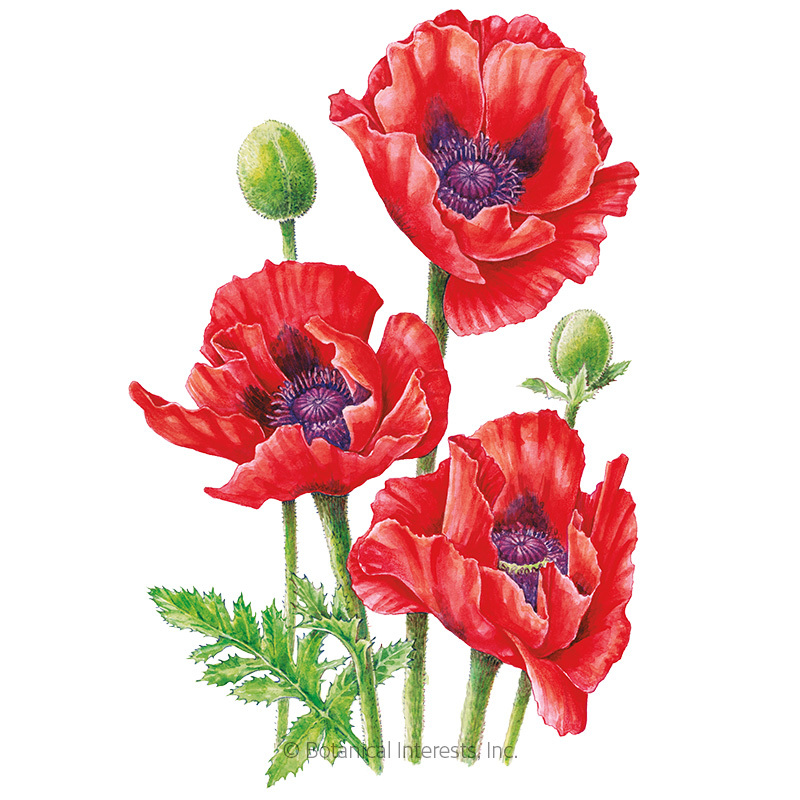 Gardeners love poppies, and what's not to love! Their crepe-paper like blooms may look fragile, but they stand up to tough, drought conditions and poor soil with ease. Since most poppies reseed, they are great for a naturalized area or a pollinator garden as bees love them, too. Give these star garden performers full to partial sun, well-drained soil, and wait for the show! California Poppies (Eschscholzia californica) are perennial in USDA zones 8–10, but otherwise grown as reseeding annuals. You'll get the best results from direct sowing these beauties. Corn Poppies (Papaver rhoeas) are reseeding annuals. Flanders and Shirley poppies fall into this category. Iceland Poppies (Papaver nudicaule) are short-lived perennials in USDA zones 2–8, but are often grown as annuals in all zones. Of all the poppies, these are the most cold-loving, and they perform best when watered regularly. Oriental Poppies (Papaver orientale) are perennial in USDA zones 3–8, but otherwise they are grown as annuals. You'll get extra-large blooms above a large tuft of fuzzy leaves in spring or early summer. Somniferum Poppies (Papaver somniferum) are annual poppies, which include "bread seed" poppies, that are grown for their culinary seeds as well as their beautiful blooms. When to Sow Outside: RECOMMENDED. 4 to 6 weeks before your average last frost date, or as soon as the soil can be worked or early to mid-fall for bloom the following spring. Mild Climates: Sowing in late summer to early fall is recommended. When to Start Inside: Not recommended; roots are sensitive to disturbance. If you choose to start them indoors, use biodegradable pots to minimize root disturbance and start seeds 6 to 8 weeks before your average last frost date. Special Sowing Instructions: For many poppies, light aids germination; sow them on the soil surface and lightly rake them into the soil. Because most poppies thrive in poor to average, well-drained soils, there is usually very little soil prep to do, other than weeding and loosening the soil. Oriental poppies are the exception, performing best in average to rich, well-drained soils, so you may want to enrich the soil by working in some organic material, like compost. Keep seeds and seedlings well-watered (moist but not water-logged) until established, and then taper off the water. 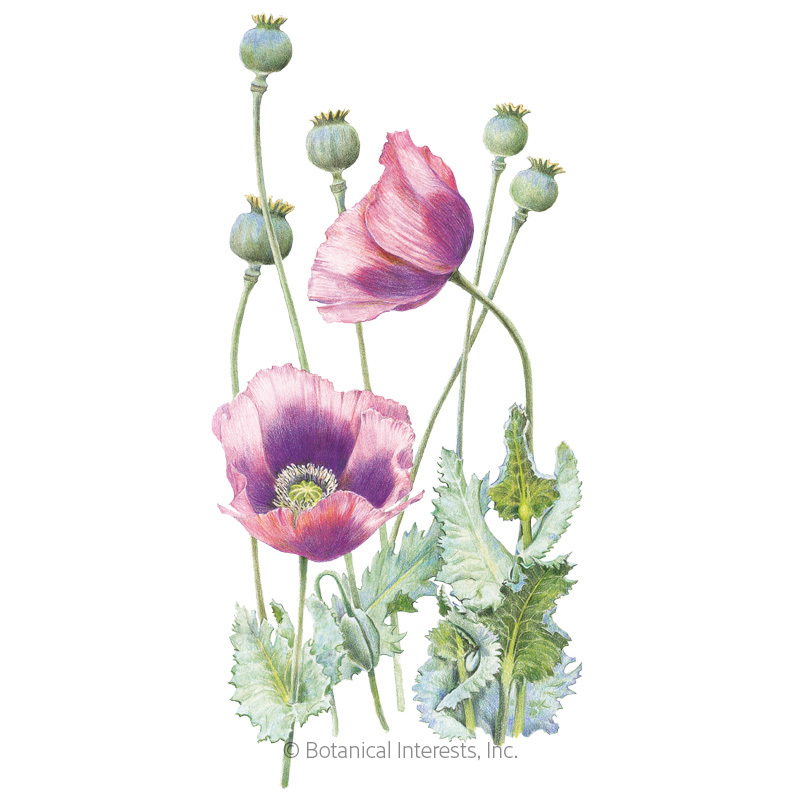 While poppies are drought tolerant in general, an occasional soaking can boost bloom production. Poppies do not usually need fertilizer although an abundance of nitrogen in the soil can cause them to have a profusion of leafy growth instead of flowers. In this case, a phosphorous-rich fertilizer can help balance the soil nutrients to encourage flowering. Keep sown areas well weeded. Thin seedlings when 1"–2" tall to prevent them from competing with one another and giving them elbow room to grow quickly. See your packet for the appropriate spacing between plants. Deadheading (removing spent blooms) helps to extend the bloom period. On the other hand, allowing some flowers to go to seed encourages reseeding. Oriental poppies will look tidier if you cut them back after they bloom, and you will see their leaves emerge again in later summer. 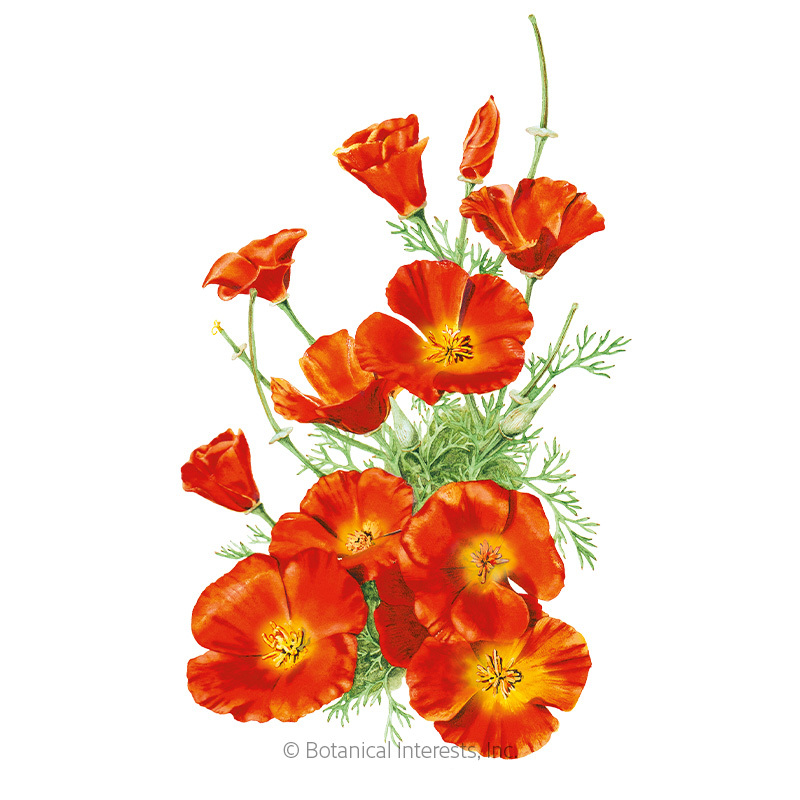 Dip the stems of cut poppies in boiling water for 10 seconds or singe them in a flame. This little extra step prevents the stems from being clogged with sap, allowing them to take up water and last longer in an arrangement. 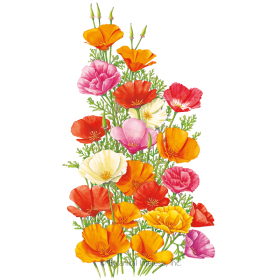 California poppies don't hold up as cut flowers, so it is best to enjoy them in the landscape.